Ever since I can remember I wanted to see Everest and walk in the footsteps of hero’s who ventured to this amazing place. I wanted to sample a little of what they went through and walk through these amazing valleys and experience Everest for myself. 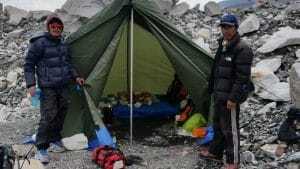 When I saw Ian’s sleeping at Everest Base Camp trips I knew that was for me. I reviewed the itinerary I really wanted to do it. 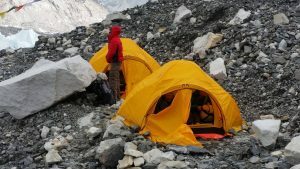 The additional acclimatization, better lodges, food, more staff support really made a massive difference in my success, enjoyment and overall experience trekking into Everest Base Camp. 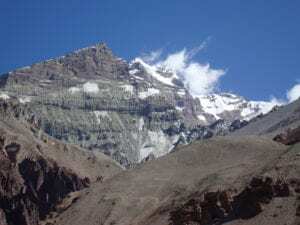 I really wanted to do this trek so I followed Ian’s training regime and trained 5 days a week. I trained with my back pack on in each training session. It looked a little funny but I quickly got used to it and keep adding weight with each month that past. I could feel my legs getting stronger and my overall fitness was really improving, which gave great confidence. I used the stair master the most and it was a great substitute for the mountains. 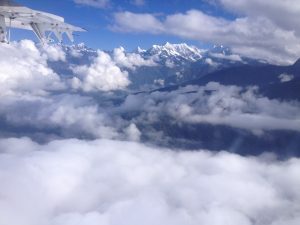 I was nervous prior to the flight into Lukla. In reality it was an exhilarating experience and one I will never forget. We flew with Goma Air, which seemed to be the best airline from what I could see. I was happy we used this airline and both flights went off without a problem. I really enjoyed the mountain scenery and the experience was truly unique. I could say a lot of things about the staff but they truly were amazing helping me at every turn. They were always busy and interacting with the team. Even though Ian was not on the trip the staff worked so hard and talked about Ian and following his instructions. They really respected Ian’s way of doing things and fully understood their roles and did their very best to give us all a safe experience trekking to Everest. 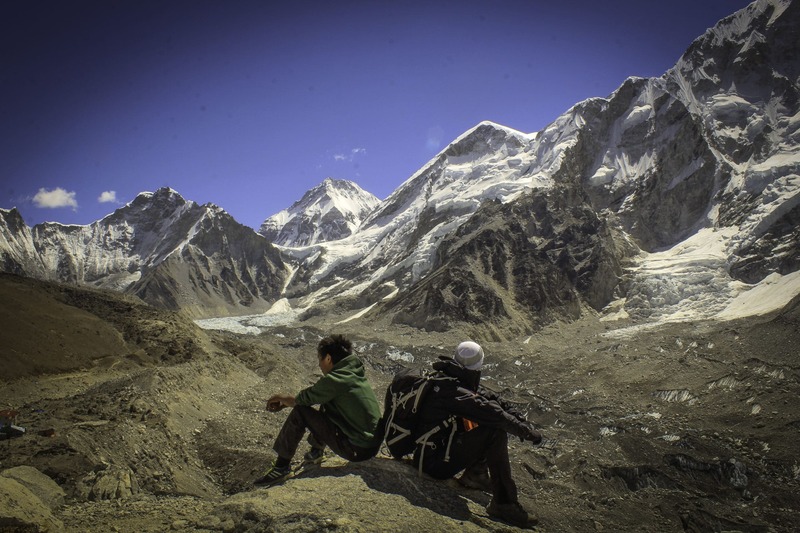 The Sherpa team and people we met along the journey were all truly inspiring. Helping us understand the Sherpa culture with singing, dancing and bringing up to the Sherpa museum above Namche Bazaar. After spending 3 nights in Namche Bazaar their seemed to be less people on the trail. We had moved out of Monjo early to avoid people, yaks and porters on the way to Namche and there were more people on on the trail lower down. The numbers thinned out even more higher up which was nice. I really enjoyed the trek above Dingbouche. Arriving into this new height was challenging but after the 2 nights I felt really good and was excited to move higher up towards Everest. The mountain scenery was really special above this point. I loved watching the different sides of Ama Dablam, walking past Pokalde, Cholatse and upwards Lobuche. The Khumbu glacier and views back across the Himalaya’s were truly amazing. My favorite views were looking back down from the summit of Kala phattar. This was one of the best places to visit in the world. The extra acclimatization really helped with making this comfortable and an experience to remember. The journey into Everest Base Camp was a special one for me, remembering all the people who had gone before me along with the ones who lost their lives on this mountain. It was an amazing experience to be staying at Everest base camp and camping in one of the highest camp grounds in the world. The Khumbu glacier was a spectacular scene of moving sails of ice, the barren, hostile environment was bleak but glorious at the same time. 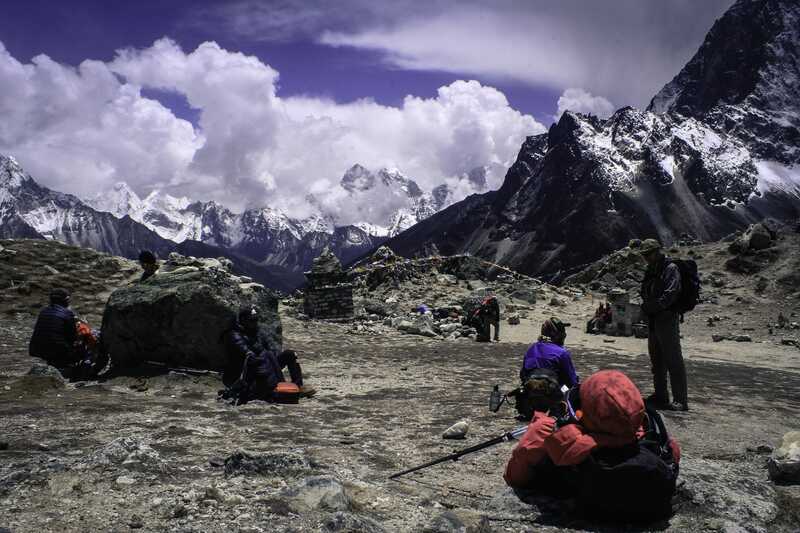 The stars shone so bright sitting in Everest Base camp. I will never forget sitting out at 17,500 feet possibly the highest person in the world at that moment in time. 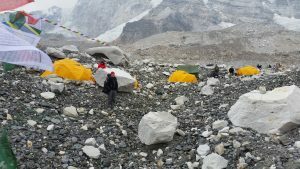 I slept at Everest Base Camp and it was one of the greatest experiences of my life. 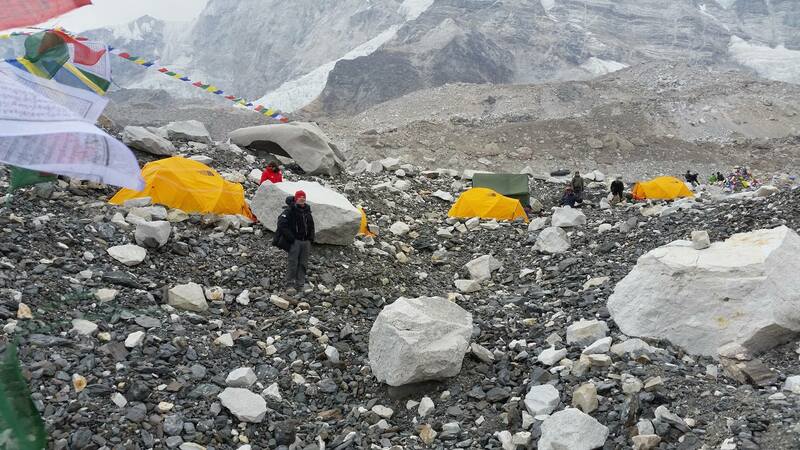 The journey back was easier, we covered long distances but we elated to have had the experience of sleeping at Everest base camp. I came out of Everest Base Camp a different person. I had achieved something for myself that brought me to a new level of thinking. I was invigorated, and excited to take on the next challenge and change my job and take on a new career path. I am now working towards a mountaineering experience and some other personal challenges. I loved every minute of the Everest adventure. My deepest gratitude has to go to Ian for his advice, the team he has put together and the acclimatization process. The pace, advice, food, service was outstanding and can not recommend Ian Taylor Trekking enough.